No obstacle can daunt Jack's resolve. He has made up his mind to become a useful, honest man and, most of all, to conquer difficulties! His greatest resolve is to learn to read, and he has surmounted obstacles of great magnitude to fulfill his dream. In a secret mountain cave he carries out the craft he learned from the outcast gipsies. 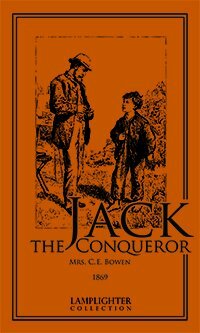 Each success emboldens Jack to press on toward higher goals as he plucks up all the courage he can muster to meet life's next challenge! From Kathy of Hillsdale, Ontario on 9/26/2013 .